The United States Navy’s Advanced Technology Engineering Group chose Sundance’s hardware for their ultra complex, ultra sophisticated electronic warfare algorithms, providing unique hybrid DSP FPGA hardware and a model based design solution to program it. Housed inside the Sundance DSP8080-AIMM (Altitude Interference Mitigation Module) system, the Navy’s system architecture and algorithms are helping to improve the warfighter’s surveillance of the battle space. The DSP8080-AIMM combats communication interferences from unwanted sources and provides pin point accuracy for remote ship, tank and aircraft operators in understanding the source of a signal. Provided in a compact, lightweight and low cost configuration, the DSP8080-AIMM accommodates beam forming of a high quantity of digital drop receivers (> 100 channels) and can interface to a range of coherent tuners. The system is flexible enough to provide radio direction finding and geo-location by-product, and outperforms its nearest competition in price, performance, size and weight. Key to making the DSP8080-AIMM a reality for the Navy was the decision to use PARS (Parallel Application from Rapid Simulation) design environment. PARS generated the entire target code including, DSP codes, FPGA codes and all of the inter-processor communication and synchronization codes from a Simulink model. 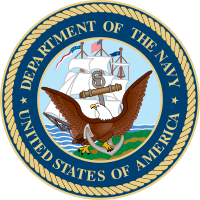 The Navy’s algorithms were implemented as either IP cores on FPGAs or optimized DSP code targeting the floating and fixed point DSPs. The DSP8080 utilizes multiple high-performance DSPs from Texas Instruments, including the TMS320C6416, a fixed-point processor running at 1 GHz, and the TMS320C6713, a floating-point DSP. The system also utilizes several Virtex 4 SX55 Xilinx FPGAs with the processing elements mounted onto a range of integrated Sundance platforms including the SMT374, SMT364, SMT318-SX and SMT361Q. Jacob Alamat, Marketing Manager for high performance processors, Texas Instruments, U.S.A.